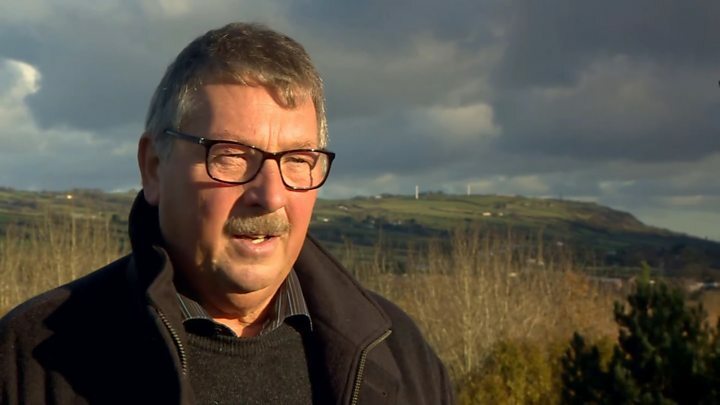 DUP MP Sammy Wilson has warned that his party's deal to support the Conservative government could be jeopardised by the Brexit negotiations. He said any attempt to "placate Dublin and the EU" could mean a withdrawal of DUP support at Westminster. He was responding to reports of a possible strategy to deal with the Irish border after Brexit. Former DUP leader and first minister Peter Robinson also responded, saying "the south needs to wind its neck in". He said Dublin politicians had taken to "lecturing the UK," doing "significant harm to north/south relations". "Sensible solutions can be found and positive outcomes are more likely to be reached if a spirit of friendship and mutual understanding exists," he said. A story, published earlier in the Times newspaper, reported that British and EU officials could be about to seek separate customs measures for Northern Ireland after the UK leaves the European Union. This could avoid any divergence in trade rules between Northern Ireland and the Republic. Mr Wilson said that the UK government would "have to recognise that if this is about treating Northern Ireland differently, or leaving us half in the EU, dragging along behind regulations which change in Dublin, it's not on". Earlier on Thursday, DUP leader Arlene Foster said that the government had a "clear understanding that the DUP will not countenance any arrangement that could lead to a new border being created in the Irish Sea". Mr Wilson said the proposal mooted in The Times report was unworkable, and revealed the DUP would be seeking clarification from the government on its accuracy. The DUP struck a deal with the Conservative government in June, agreeing to support Tory policies at Westminster, in return for an extra £1bn in government spending for Northern Ireland. Mr Wilson said his party will be "making clear to the government we have a confidence and supply arrangement with them". The East Antrim MP added that "if there is any hint that in order to placate Dublin and the EU, they're prepared to have Northern Ireland treated differently than the rest of the UK, then they can't rely on our vote". Mr Wilson was speaking in a BBC interview in his East Antrim constituency on Thursday afternoon. The DUP has consistently opposed calls for Northern Ireland to be granted "special status" within the EU, in a bid to resolve border issues. The party has accused Irish nationalists of using the special status campaign as "an opportunity separate Northern Ireland from the rest of the United Kingdom, with a border in the Irish Sea". Under the type of plan mooted in The Times report, regulations relating to customs would be harmonised on both sides of the Irish border. It would allow a freer flow of traffic and goods, in line with the UK's aim of making the crossing as "frictionless" as possible.